Online poker is becoming more and more popular in Canada, and players are seeking out poker sites that are accepting Canadian players. There are quite a few Canadian poker players that have become seasoned pros including Daniel Negreanu, Isabelle Mercier, Gavin Smith, and a host of others. Many of these successful players got their starts playing online poker, or have played extensively online over the course of the last few years. With poker in Canada becoming so popular, we have come up with a page dedicated to the best online poker sites for Canadian players. Our three top internet poker rooms for Canadian players are 888 Poker, PokerStars, and Bodog. If you want to play poker with famous Canadian players, PokerStars may be your best bet as both Daniel Negreanu and Isabelle Mercier are members of Team PokerStars. 888 Poker is our top choice for a Canadian poker site due to their easy poker games and nice poker bonus offers. 888 Poker is the main site on the 888 Poker Network. 888 Poker was formerly named Pacific Poker. The 888 network sites share the same poker tables for cash games and for most tournaments. This means more games for you, as players are logged into one poker room from multiple brands. Our Canadian poker players can get a sign up bonus of up to $888 by using our “Start Playing” button in the table on this page. This bonus, exclusive to PokerNews.com players, is a 100 percent match bonus on your first deposit, up to the $888 maximum. Canadian poker players love the around the clock action at 888 Poker, and the frequent promotions that are offered to players from Canada. PokerStars.com is our second choice for Canadian poker players, but that is a very close second. As mentioned above PokerStars is home to Canadian Daniel Negreanu, who is widely considered to be one of the best tournament players in the world. You can oftentimes find Daniel playing poker at PokerStars, along with fellow Canadian pro Isabelle Mercier. If you ever see Daniel at the tables be sure to say hello, and ask him why he always gets beat by Tony G in the big games. 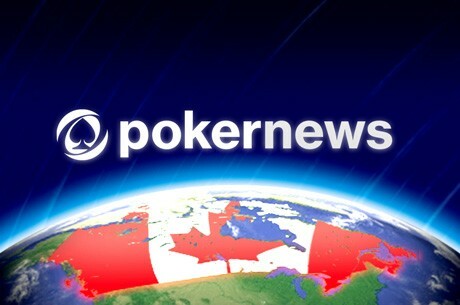 Our Canadian players will get a special bonus when using our marketing code POKERNEWS. You will not only get the standard 100 percent up to $600 cash bonus, but will also be able to enter any of our world class freeroll tournaments that are held at PokerStars. These freerolls can be for thousands in free cash, or for all inclusive prize packages to live poker tournaments. Many players are curious as to what games they can play on these Canadian poker sites. All three of the sites listed on this page have an abundance of both no limit holdem cash games and no limit holdem tournaments. If you like playing limit holdem, then 888Poker and PokerStars are going to be your best bets. The limit holdem games on Bodog are not nearly as plentiful. If you like playing Omaha, stud, or mixed games then PokerStars is definitely your best option, as they have by far the most and best games. Depositing to an online poker site is fairly easy for Canadian players. Most players are able to deposit with their credit cards to any of these three sites. It is much easier to process Canadian poker credit card deposits than a lot of other countries. You can also make use of the many ewallet systems that are available, such as Moneybookers or Neteller.